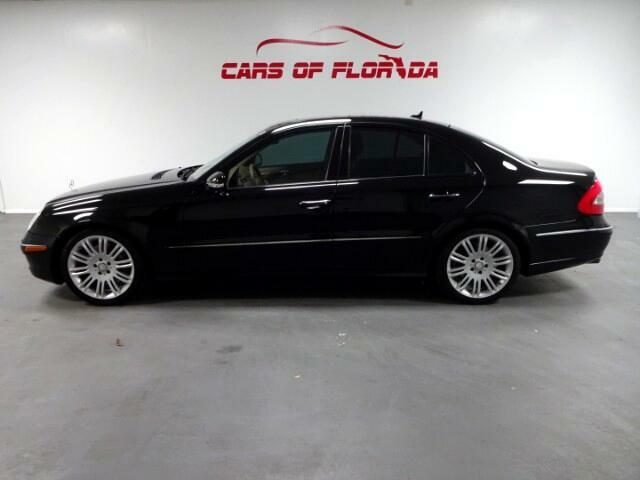 Cars of Florida is proud to announce this 2008 Mercedes-Benz E350 Sedan. This vehicle has a Squeaky Clean Florida title with only 76,000 pampered highway miles. Two owner, no accidents. Must see to believe! Fully loaded, Sport Premium Package, Harmon Kardon Surround Sound, ventilated seats, Garage home link, key-less go Engine Start/Stop and much more! Powerful V6 Engine provides quick shift movement and a sporty feel. All books and manuals, Carfax and Service records available on sight! All major components have been tested for durability and quality! Exterior and interior are absolutely impeccable with no blemishes. Everything works, drives like a dream. Comes with two Original Mercedes Keyless Fobs. You will not come across a better more well maintained E350 Sedan of this caliber! Vehicle has been washed and waxed for immediate delivery!